Buddha bowls are best seen as either Asian or Asian-inspired (‘fusion’) one-bowl meals. The concept is loosely based on guidance from Chinese medicine, that a meal should have vegetables, protein, and grain. Although there would be many, many foods that meet this criterion, such as many pizzas or casseroles, Buddha bowls are a spin on the common Asian thick soup, such as a Vietnamese pho or a Chinese hot and sour soup, where there is a high ratio of ingredients to broth and where the ingredients are whole or in large pieces and not blended or pureed. 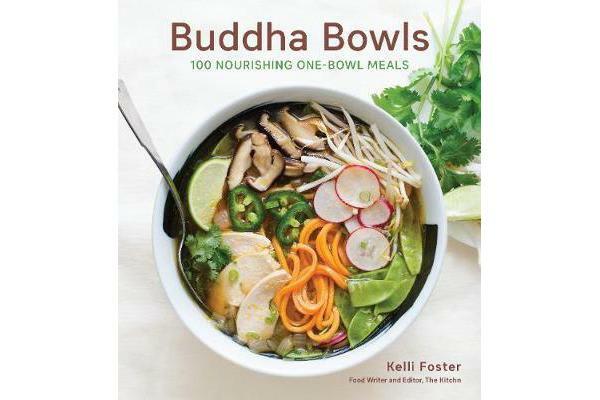 Both bowl food and one-dish meals are strong-selling categories in the current cookbook market, and Buddha bowls is as strong a sub topic as any in both of those categories.